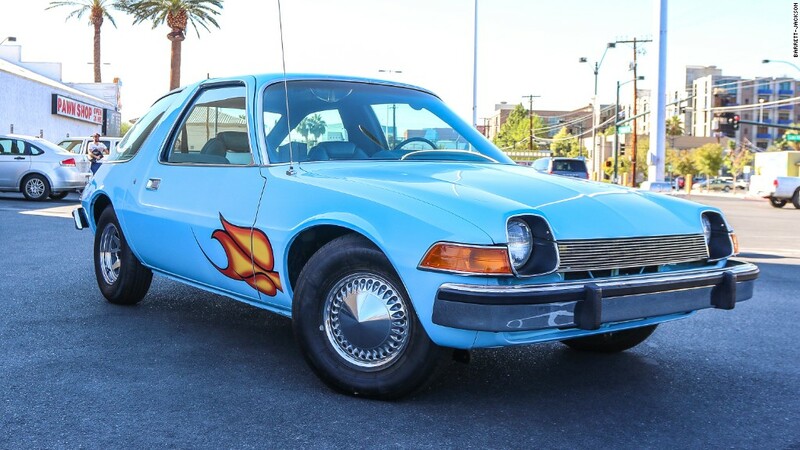 The 1976 AMC Pacer used in the movie "Wayne's World" could be yours. It's up for sale at Barrett-Jackson's Las Vegas auction, and, following a full restoration, it appears to be in totally gnarly condition. And we mean that in the good way. The blue Pacer with painted-on flames now sports a genuinely functional stereo, which it did not when used for the movie. Other than that, the car is pretty much as it was when used for filming, although a number of the parts have been replaced and the famous paint job was redone. The 1992 cult classic, based on a recurring "Saturday Night Live" skit, starred Mike Myers and Dana Carvey as Wayne and Garth, two aimless Illinois friends hosting a public access cable TV show from Wayne's parents' basement. This Pacer now has a totally functional stereo. The "Wayne's World" Pacer was previously offered for sale by the Volo auto museum in 2004. The asking price at that time was $15,000. It later appeared on a 2015 episiode of the cable TV program Pawn Stars. In that segment, program star Rick Harrison agreed to buy the car for $9,500 from its then-owner who indicated he had bought it from the Volo museum. The Pacer was not running at that time and there has evidently been significant restoration work done to the car since that appearance. Barrett-Jackson is not providing an estimate this time around. It is being auctioned "without reserve," which means it will be sold to the highest bidder no matter how low that bid might be. 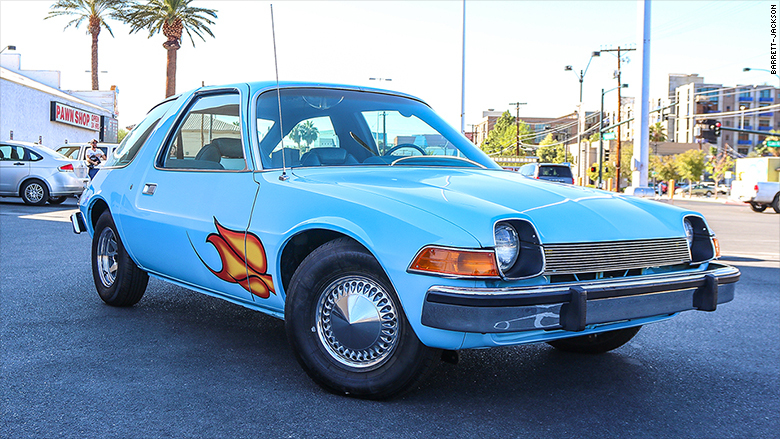 An ordinary AMC Pacer, in good condition with standard equipment, would be worth about $3,000 today, according to NADAGuides.com. While movies frequently use more than one car to depict a single car on screen, this is believed to be the only Pacer used in the film, according to Barrett-Jackson. Intended to be a groundbeaking compact car in its day, the AMC Pacer, a product of the doomed American Motors Corporation, is frequently the object of jokes today. Its main selling point, touted in ads, was its unusual width. Though nominally a compact car, it was as wide as a mid-sized car. Among the Pacer's unusual features was a passenger-side door 4 inches longer than the driver's side door, allowing for easier backseat access on that side. American Motors was absorbed by Chrysler (FCAM) in 1987. The only surviving remnant is the Jeep SUV brand. The Barrett-Jackson collector car auction will take place Oct. 13-15 in Las Vegas.